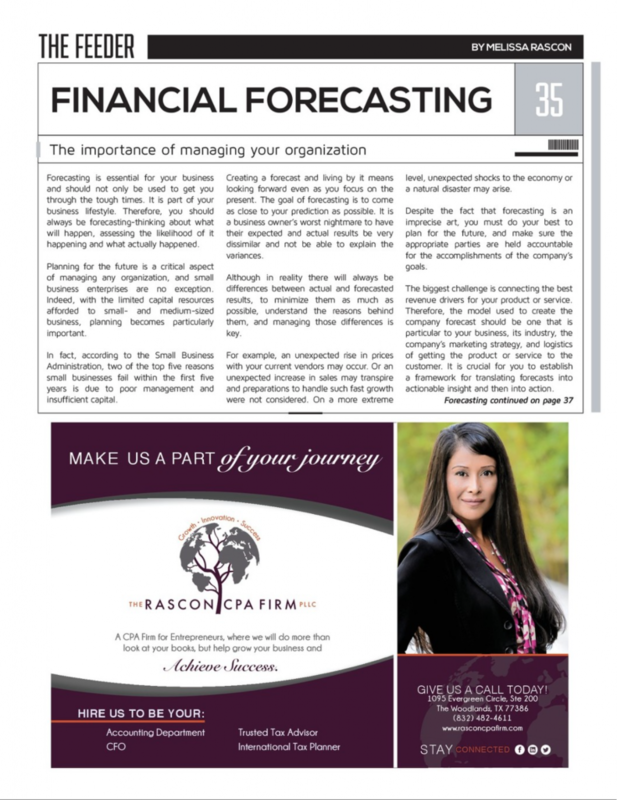 Whether you need help with bookkeeping or payroll for your business in The Woodlands, Texas, or tax advice as you take your business global, you can find the expertise you need at The Rascon CPA Firm. 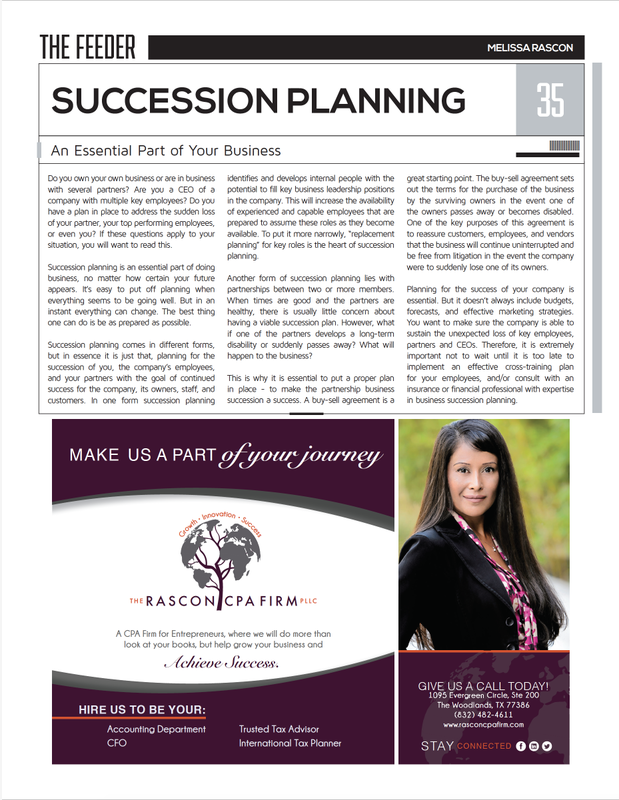 Melissa’s expertise has led to multiple appearances on television and radio segments as well as providing insights in articles found in magazines. 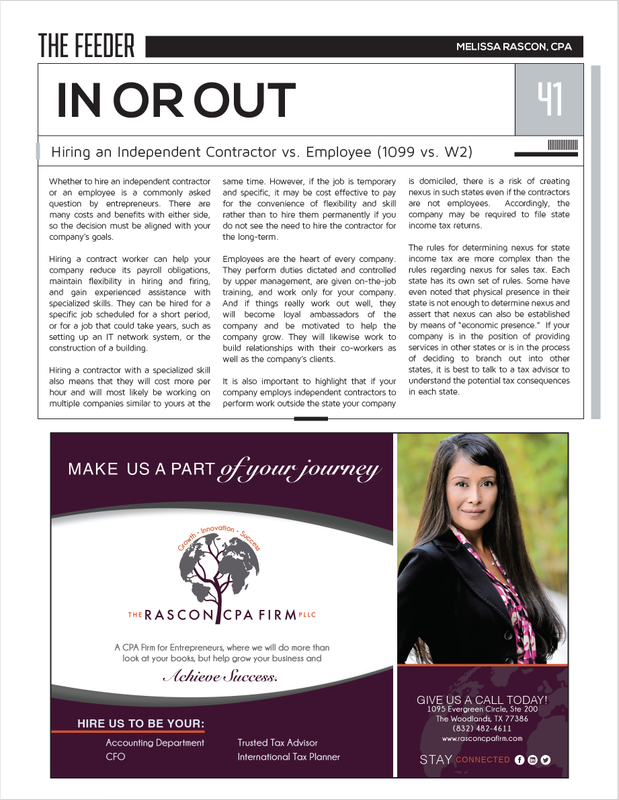 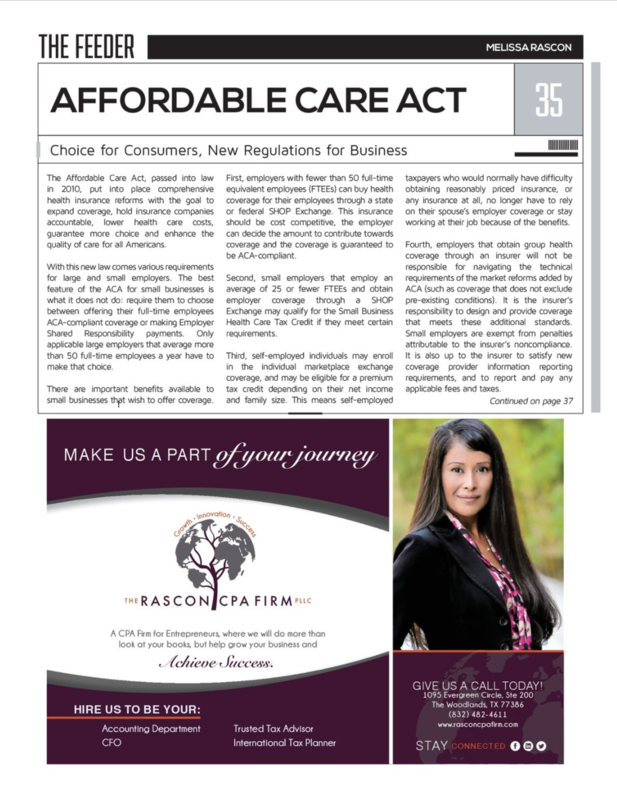 Currently featured in PKWY Magazine and guest speaking for various news and radio shows, including Channel 2 Houston Newsmakers, you can see The Rascon CPA Firm in the news below. Sept.-October 2015 Bookkeeping and Tax Apps: Find out ways you can simplify your life through the use of technology. 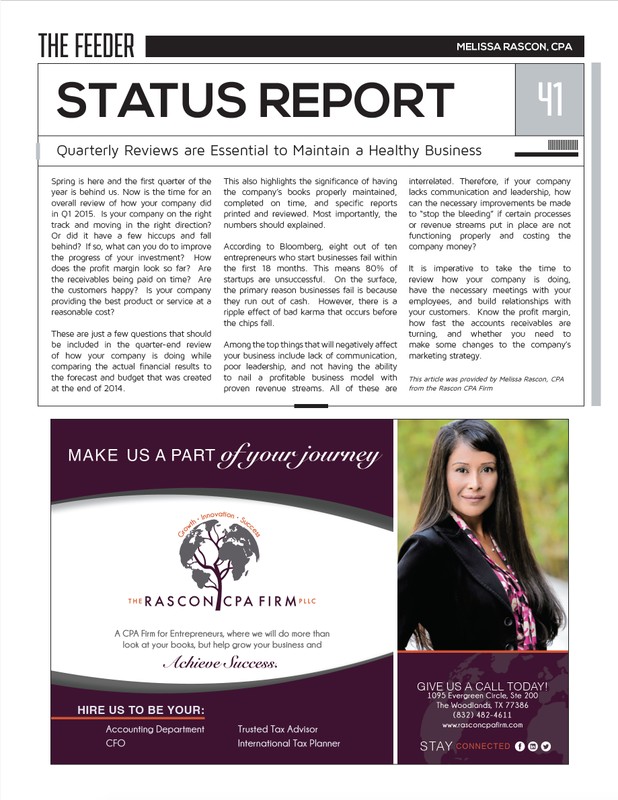 Status Reports: Hear what Melissa has to say about quarterly reviews and their importance in maintaining a healthy business.